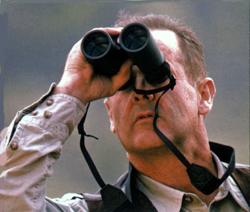 One of the best kept cafe-deli-store secrets in Fort Bragg lies hidden in a river valley rain forest teaming with birds, seals, fish and wildlife. 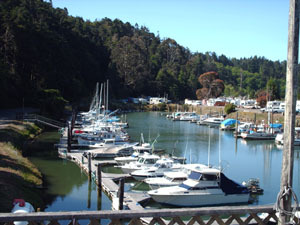 This secluded RV park and fishing resort is 2 miles up Noyo River in Fort Bragg, California with access to the Pacific. 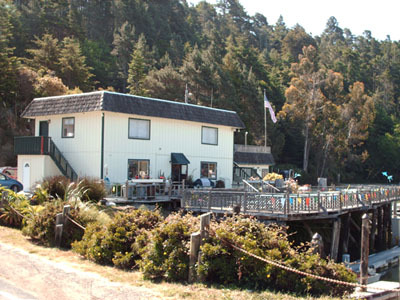 Guests feel welcomed to a complete range of amenities including 125 bay and river moorings, laundry facilities, recreation room, cable TV, ice station, paved roads and marine store. There are riverside and bay RV hook-ups and a shipyard with repair shop and dry storage facilities. Travelers can rent a space for their RV with hook-ups available from April 1st to November 1st. There is a on-site laundry and hot and cold showers for the gentlemen and ladies. The marina also offeers gasoline and diesel sales and complete gas and diesel engine repairs. Visitors to the deli/cafe can enjoy indoor/outdoor seating with picnic tables on the spacious deck overlooking moored boats and the Noyo River. Occassionally silver schools of anchovie or sardines make the river shimmer in the sunlight. 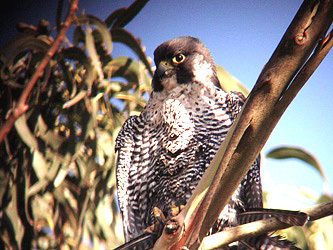 Huge harbor seals and sea lions as well as quatic birds of every size and color come to feed. 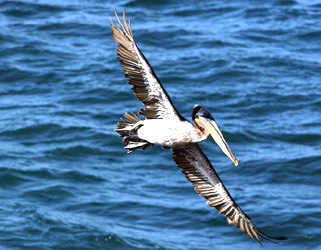 The Dolphin Isle Marina Deli/Cafe is a real find; especially for wildlife and bird watchers. The culinary staff does a really good job of making you feel at home while enjoying the "marina comfort food". Breakfast and hot coffee begins at 7:00am and flows like the river into lunch at 11:00am with the restaurant closing at 4:00pm daily. There are coolers full of locally brewed and imported beer and wine as well as sodas, mineral water and chilled fruit juices and tea. Prices are more than fair with a large serving of biscuits and gravy for $4.00, A full breakfast with country potatoes or hash browns, toast, butter and jam and eggs any style plus choice of sausage, bacon or ham is only $6.50. Deli sandwiches are served from 11am - 5pm till 4pm on Saturday and Sunday. On the outdoor deck is the BBQ grill where all-beef hot dogs (only $2 -chili dogs $4) and delicious char grilled 1/2 pound cheese burgers ($6.50) are grilled to perfection. The homemade soups take the chill out of the air or put a fire in your belly and include 3 bean chicken chili, hamburger noodle delight, vegetable minestrone and cream of artichoke. There is clam chowder on Sunday for $3 (medium bowl) and $4.50 (large bowl) served with oyster crackers and hot sauce (bread and butter 50 cents extra). I hope the folks who live and work here and visit the deli know how lucky they really are. The setting is cradled in the river valley with timbered forests reaching to the waters edge and teaming with the eyes of birds and wildlife watching the human drama below them. Dolphin Isle Marina is open year-around with special winter rates. This pocket of aquatic tranquility in one of the west coast's loveliest harbors.